Time to get to work on this transfer project/review courtesy of Caseking.De and Overclockers.co.uk (European distributors for Lian Li, thanks guys! 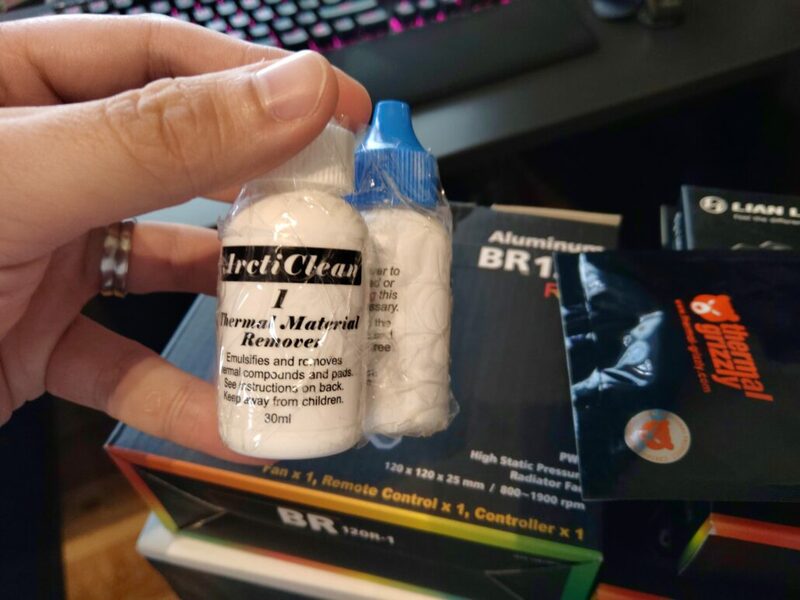 ), I also got some additional goodies to bring my drab and dreary rig into the era of RGB goodness and AIO water-cooling. Not making the cut into the new case is my trusty Noctua NH-U12S CPU cooler which has always been a reliable cooler but was perhaps slightly underpowered to cool the 5960X overclocked to 4.0 GHz. 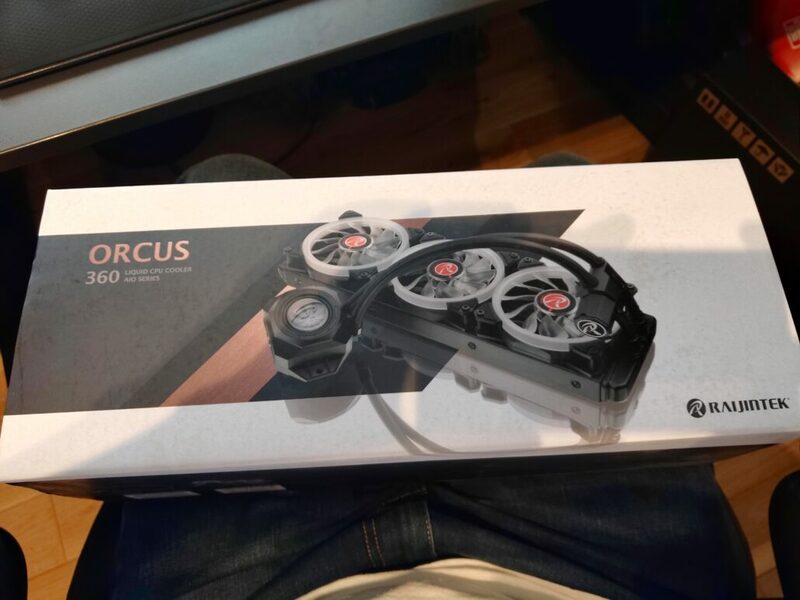 The Raijintek Orcus AIO 360 is obviously a beast compared to the Noctua and has a quiet(ish) 25 dBA pump, 3 fans which max out at 42.17 CFM airflow each and overall dimensions come in at 395mm x 120mm x 28mm plus an additional 25mm on the fans putting the depth at 53mm. Meanwhile, the 4 Lian Li BR 120 fans hit 29 dBA and will allow me to bring in a max of 57.2 CFM in airflow. I’d like to keep positive pressure inside the PC-O11 as the dustproofing, while looking solid doesn’t appear as robust as the Cosmos II. The case itself feels excellently put together. The magnetic dust filters are a great touch as are the recessed areas for them to sit. First up, I’m slightly worried. The second chamber on the Lian Li PC-O11 looks pretty small and the PSU is a huge beast. I’d checked the measurements and specs before going with it and it says it’ll fit so it’s time to get to work. 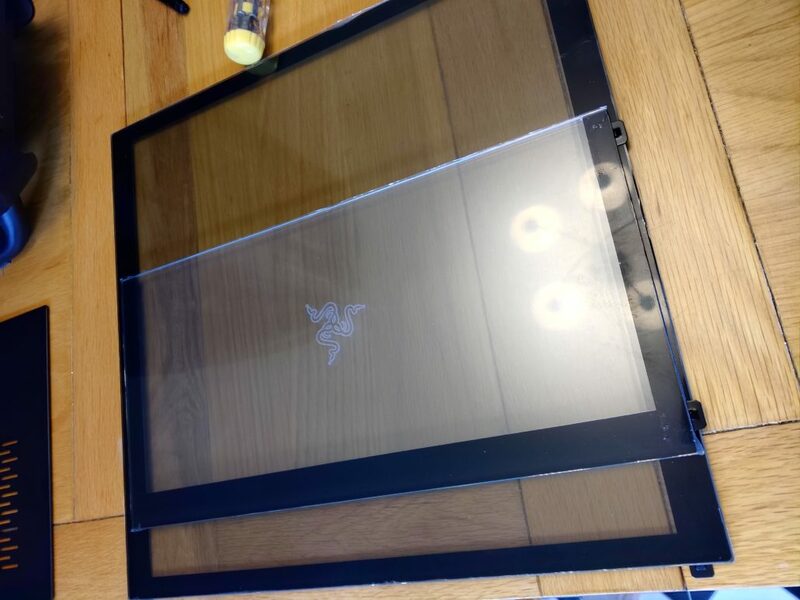 The case itself is gorgeous and I’m pleased to see that the glass has that sheer plastic wrap on it to stop me getting fingerprints all over it while I’m dismantling everything and doing the build. Pulling everything out of the Cosmos II I’m pretty surprised. I’m atrocious at cleaning out my PC (I’ve done it a grand total of zero times since I got this case 4 years ago) and while there is some dust inside, there’s nowhere near as much as I thought there would be. The hinge areas have a fair bit of dust in them and I’m sure the filters are absolutely filthy but I can’t be bothered to deal with them right now, I’ve got a new case to play with! I’d asked for 4 fans but was undecided whether I’d actually use all of them in the case. The delta between the Lian Li intake fans and the Raijintek AIO fans should give me 45.09 CFM of additional inflow vs. outflow but of course there is the Titan X with its blower to account for. Unfortunately after some digging on Google, I can’t find a CFM rating on the Titan X. Even searching for NVTTM CFM or NVIDIA founders CFM yields precious little other than some opinion on the GeForce forums. Looks like I’ll use all 4 fans then. The PSU goes in reasonably easily but I’m cautiously eyeing the drive mounting bridge that goes from the base of the case to the roof. The 2.5” 850 Evo should be fine but that 3.5” WD Black may be a problem. Indeed, once the drives are mounted to it, the cable connector housing means there’s just not quite enough space to screw the bracket in properly. The EVGA measures up at 200mm which is less than the Lian Li PC-O11 maximum so it’s slightly disappointing that it’s a struggle to fit but I suppose the world is moving away from 3.5” drives and I could put it on the front chamber but don’t want to spoil the view inside my case with a drive and more cables flying around the front side. There’s also a drive caddy where you can put a second PSU which I could use but suspect I’m going to need to stuff cables in there so I leave the 3.5” where it is. 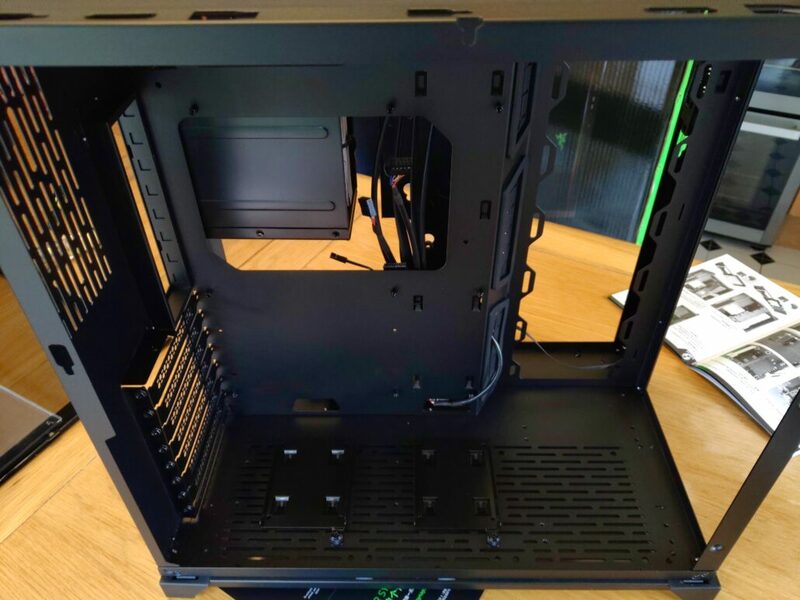 Cable management slots are plentiful and nicely positioned as you’d expect on a Lian Li case and the second chamber is useful for keeping all the EVGA’s braided cable extra length stuffed inside so it doesn’t clutter the nice front chamber. 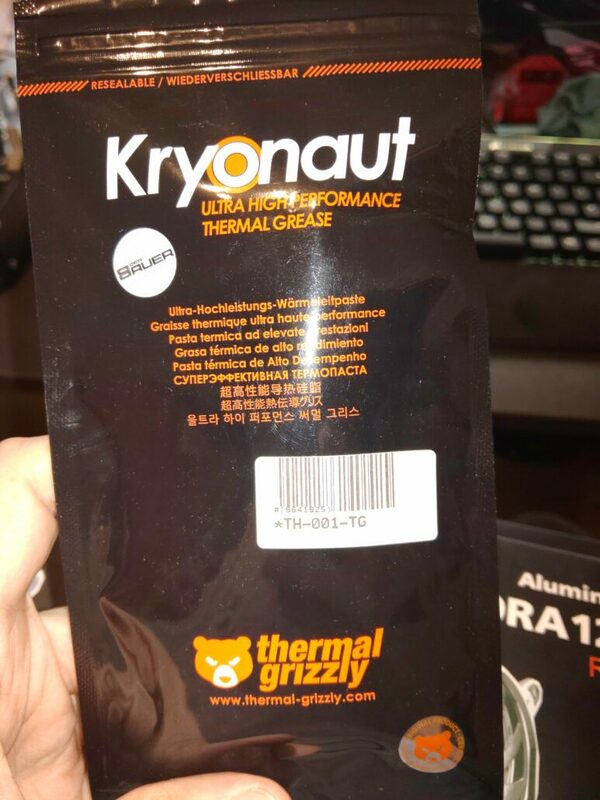 Removing the Noctua and cleaning off the CPU and heat sink with the Arctic Silver I decide to go with the pea method for the Thermal Grizzly Kryonaut paste so don’t need the bundled scraper to spread it out over the CPU. Mounting the Raijintek and all the Lian Li fans is a breeze (chortle) but then I start to run into some problems. The Raijintek and Lian Li RGB controllers don’t want to mix so I’m left using both brands individual RGB controllers and the associated remote controls. It’s fine as I’m not a particular RGB fanatic anyway although it would’ve been nice to get all the lighting synced up and programmable from one interface. 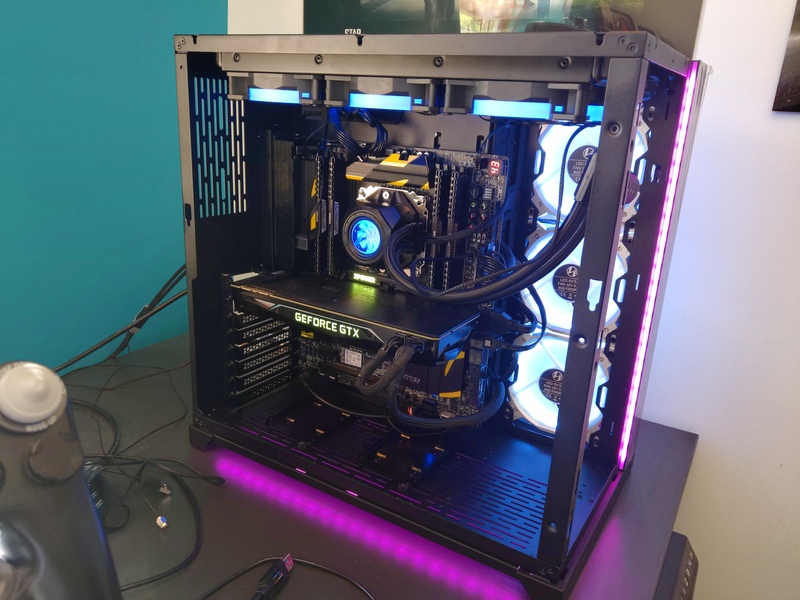 This was always a bit of a non-starter though since I have a Corsair keyboard, Razer speakers (and now case) and different brand fans and AIO. The Raijintek has a couple of bent fins on the radiator but all the water-carrying parts look intact so I’m not overly concerned here. A quick boot up to ensure I’ve not completely trashed my PC and things start first time! Working feverishly now to close everything up before I screw something up and end up with a brick and the build is done. I’ve never had a Lian Li anything before but I’ve admired their cases from afar for a while now. 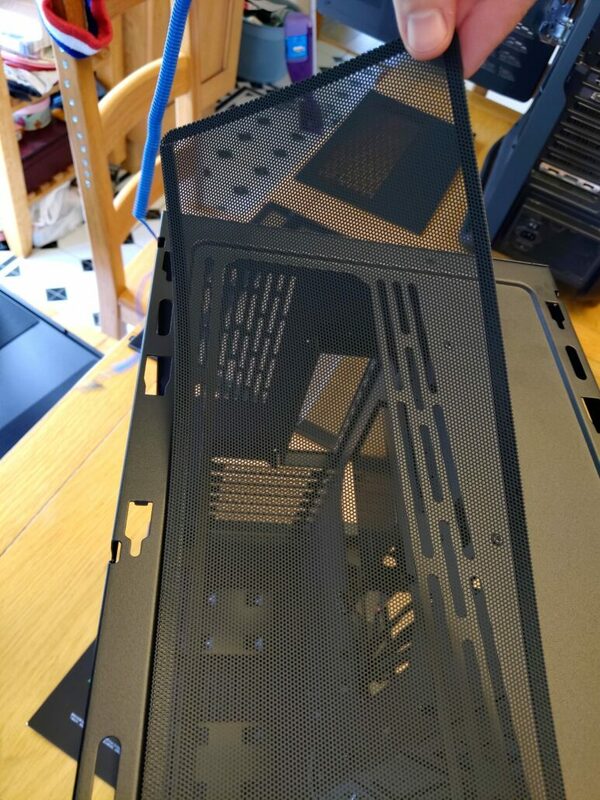 Prior to buying my height adjustable desk I contemplated a Lian Li height adjustable desk case but I expect my desk to outlast my PC case, particularly given how connectors change over time so decided against it. Given my lack of propensity to clean out my PC too, this seemed ill advised. The Lian Li PC-O11 then marks my introduction into the world of Lian Li and it’s been a fun one. Despite not being a massive RGB fanatic, over the years I’ve gradually wrapped myself into the Razer Synapse ecosystem with phones, speakers, a Blade Advanced 15 and now the Lian Li PC-O11 case. Comparing it to the Cosmos II is tricky. 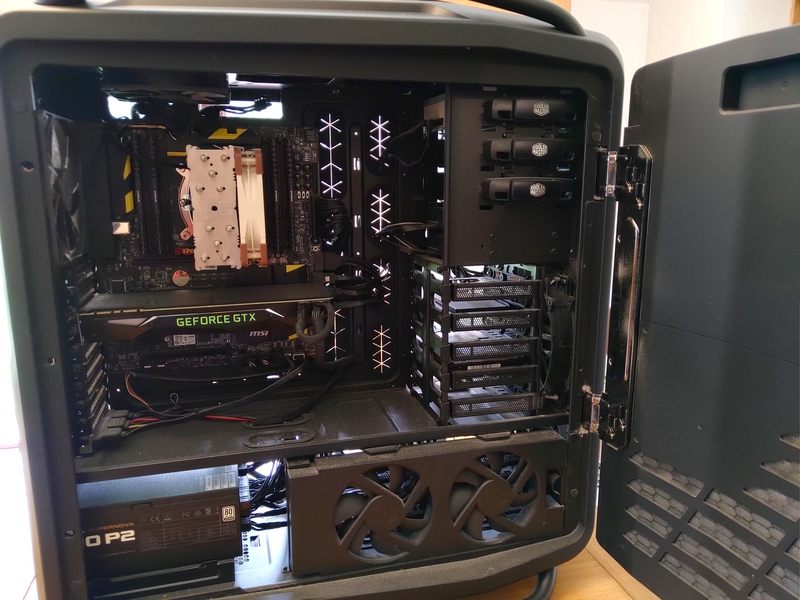 The Cooler Master was over £300 when I bought it and the modern equivalent is probably the CM C700P at £275 (albeit with 3 fans) vs the Lian Li at £150 (the non-Razer version of the case comes in at £115). 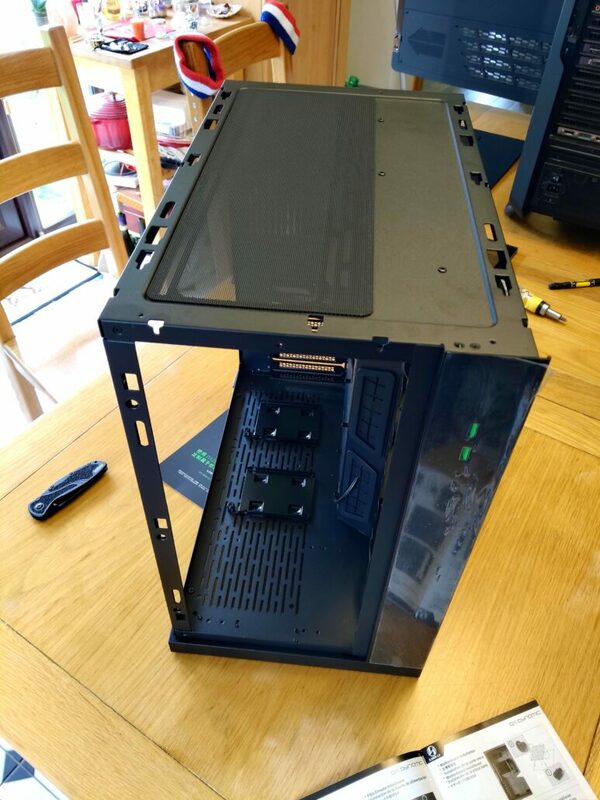 Dustproofing is good but I suspect if I left this case on the floor for 4 years, it’d have more dust inside it than the Cosmos did given the slightly less dense filters and fairly large gaps at the top rear of the case (hence my decision to go for positive pressure on the build). The Raijintek is obviously extremely capable when compared to the Noctua and even when running the Intel XTU stress test, the 5960X never got higher than 69 degrees with all cores 100% and 4GHz. 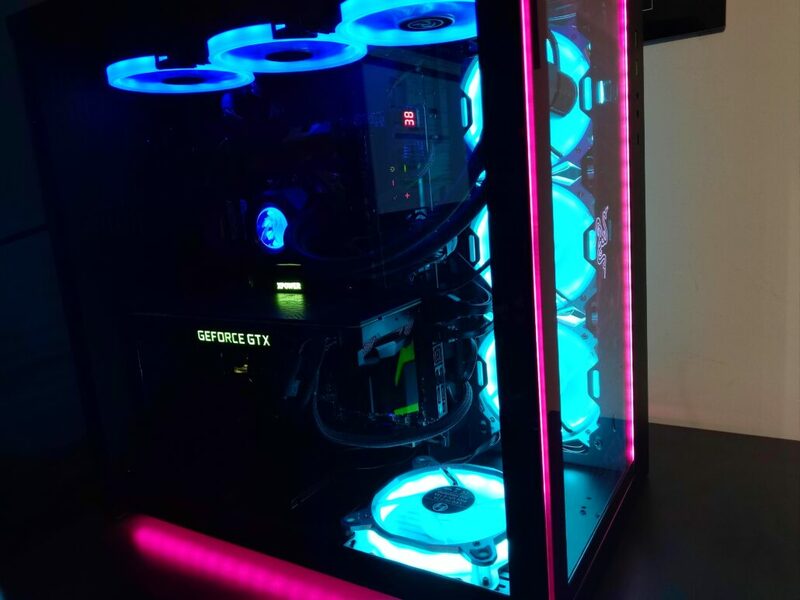 I do love this case, and it’s a great effort from both Lian Li and Razer. 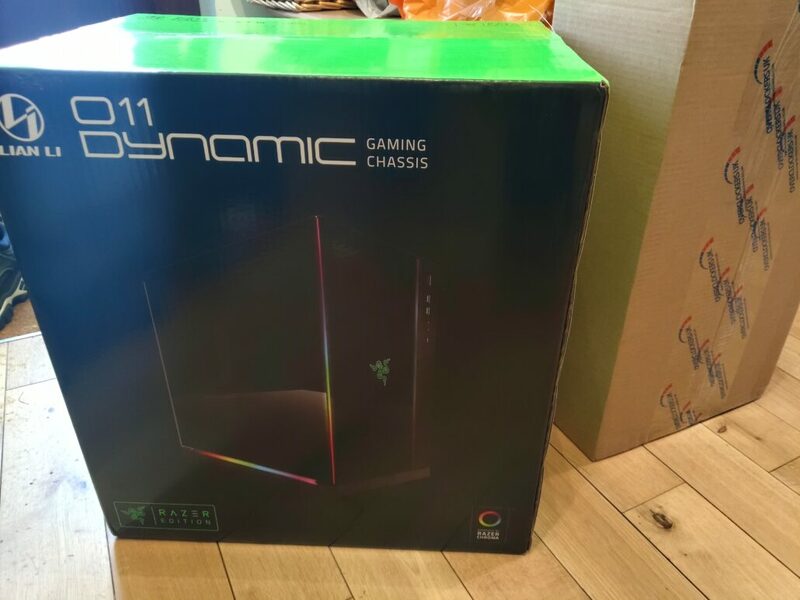 Razer’s Chroma ecosystem and Synapse software feels like probably the strongest push to an integrated RGB experience at the moment given the partnerships it has struck with Philips Hue and the other vendors it announced it will be integrating with it such as AMD, MSI, Themaltake, Vertagear, Ducky and NZXT. The case is excellent and the only thing I’m really missing from the Cosmos is the quietness. 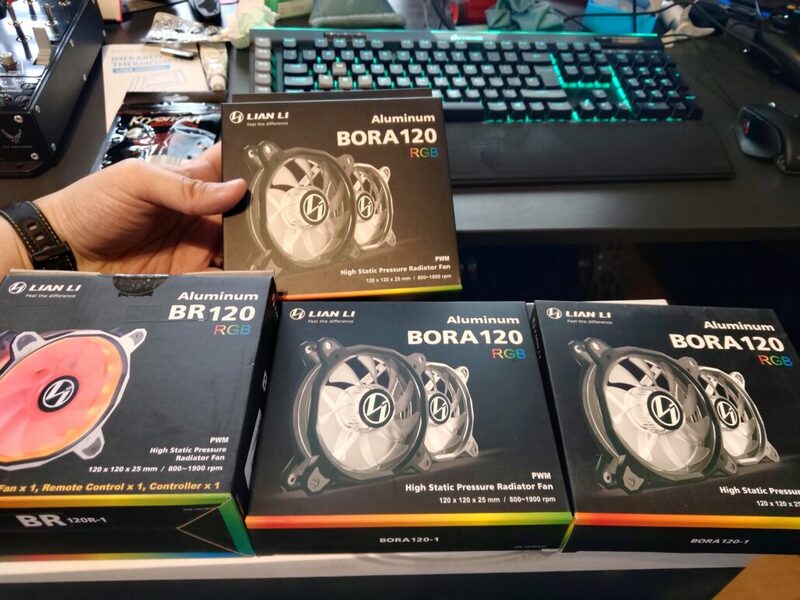 Cooler Master’s fans all came in at under 20 dBA and the Noctua was obviously purchased for its quietness. The Raijintek and Lian Li fans obviously put out more noise than those and it’s fairly obvious but that’s not the fans, not the case being at fault. Overall then, I’m smitten with the Lian Li PC-O11. The Razer edition makes it easy to integrate with my other Razer devices whether I’m in a wave or spectrum cycling kind of mood or want to get down and dirty with individual light controls. What’s missing then is the rest of the PC component ecosystem coming onboard and giving us nice and easy single point of control software with Razer Chroma. That seems to be changing and the open API approach Razer is taking with getting partners on to Chroma can only be good for those looking to have an easily integrated RGB experience. 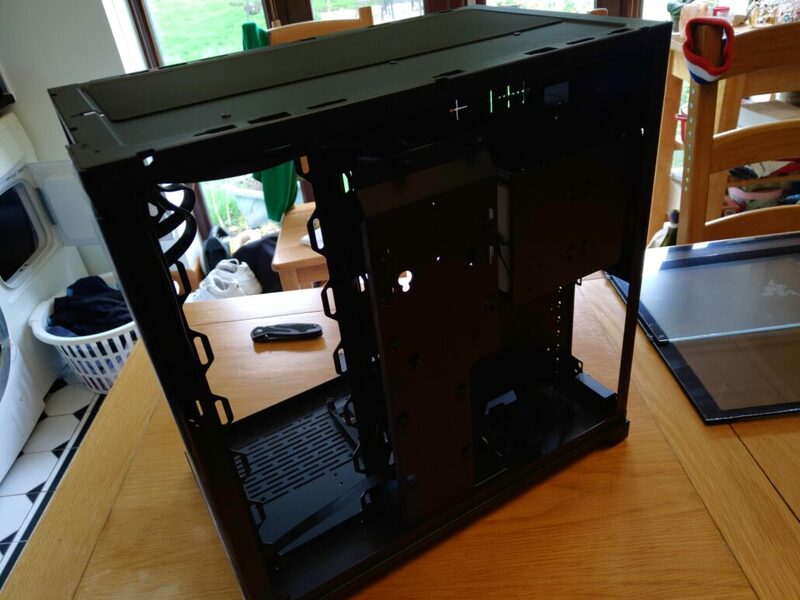 As for the case, the Lian Li is excellently put together, attractive and solid. A little lacking in space if you’ve got big components but well worth a look. 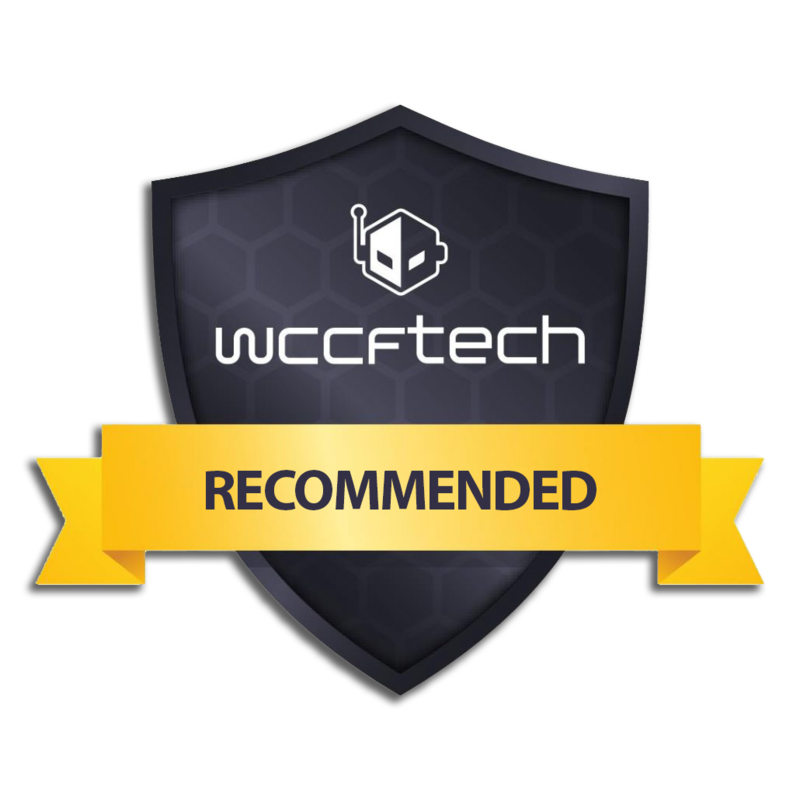 It bags itself a Recommended award.